10 comments on "Halloween Pumpkin Cake (the Asian style)"
The cartoon character moulds are so cute! 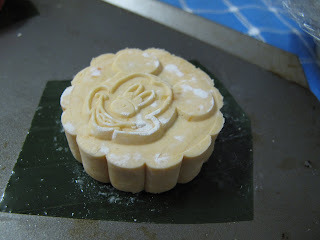 I have cookie cutters but not these mooncake type moulds. The mini pumpkins are just adorable! The mini pumpkins are gorgeous and sound delicious too! 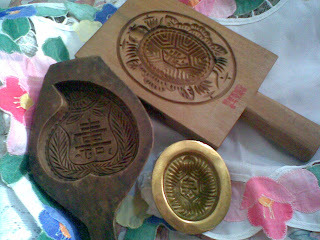 Petitenyonya: Are you interested in buying these moulds? It's after mooncake festivals now though. 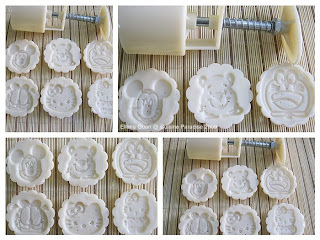 Maybe I should try use these moulds and make cookies, I think they'll turn out great! Thanks Kirbie! Nice pumpkin carvings you have there! Peasepudding, thanks and yeap, they're pretty gorgeous looking and if you like chewy stuffs like Japanese mochiko, you'll like this one. I grew up with these! Haha, thanks and yeah, I'm a Peranakan, remember? 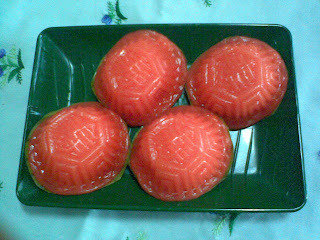 Kuih muihs are in me! The pumpkins are oh-so-precious! Love them! the pmpkins look amazingly beautiful! Your chocolate truffles mochiko look awesome too! The pumpkins do look exactly like what was on the cover of the book! So cute and beautiful! Who bears to eat them? ?